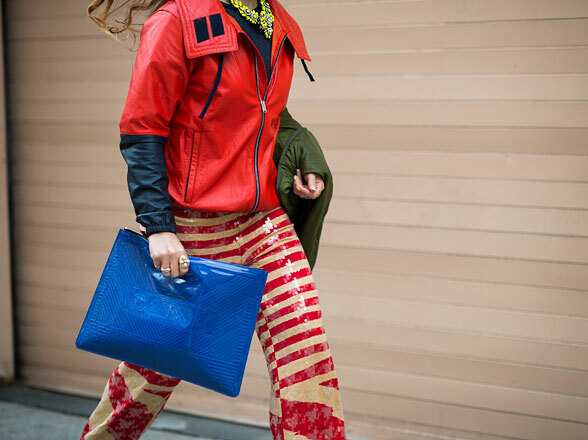 Time to take one last look at some of the interesting street style looks from NYFW. My last post focused primarily on the chic head to toe looks. I just wanted to capture a few of the details in this post (along with a couple of the "what were they thinking" looks). 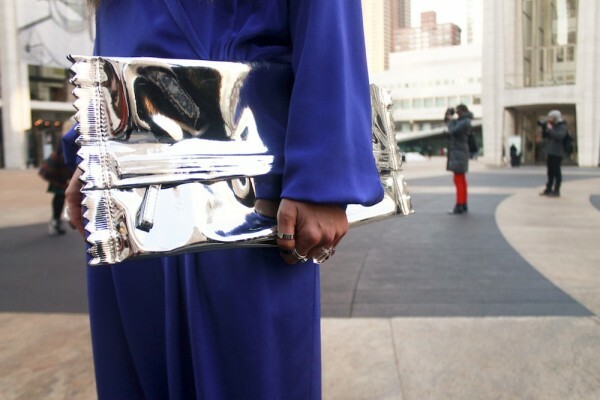 Let me know your thoughts on this season's NYFW street style! I love the first one. I love the shades of blue and teal together plus the added fur gives it such a great texture! 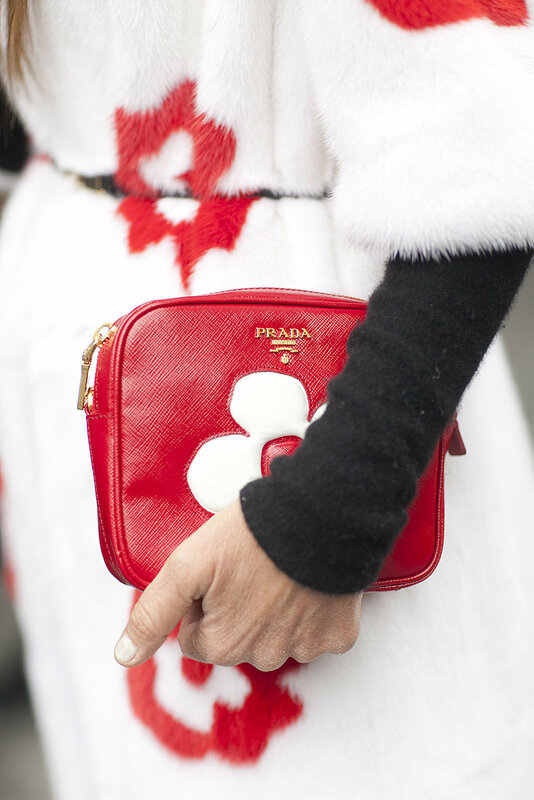 Love the photo of the white and red Prada bag with that coat! Beautiful! And I'm utterly shocked with the first "what?" picture! Terrible!!! Very nice outfits and details. I really love the first one. Interesting textures. Some of these looks are totally crazy! I am not a big fan of those furry pumps either - ick! Yeah, those celine fur pumps are crazy!! and thanks for the lovely comment on my blog! I like the ice-skate shoes and the lavender skirt! 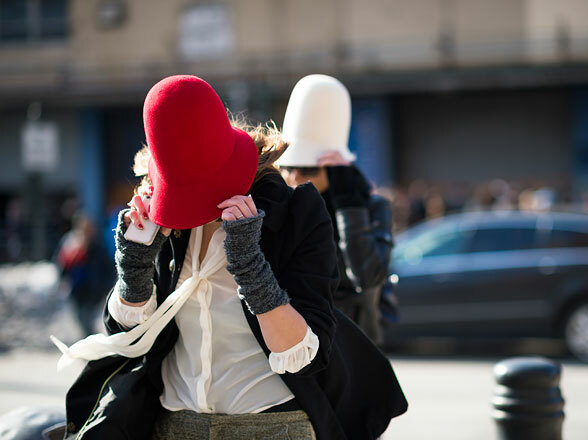 I am in love with all the street styles at fashion week, only wish I could see them in person. Wow are those boots for ice-skating? Love these, the first is my fav...And I really hope fuzzy orange pumps aren't the next fad. ha ha ha..very nice compilation and commentary!! 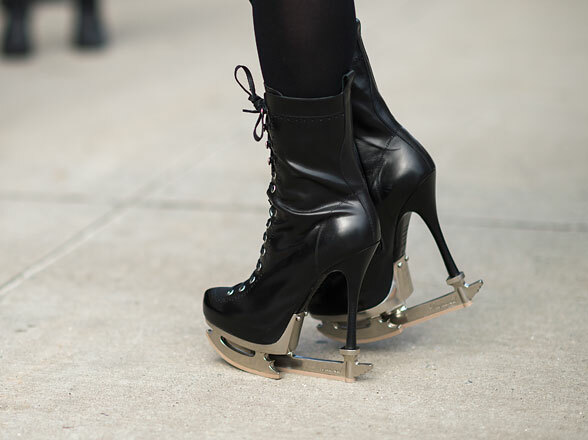 I was surprised to see people wearing 6 inch heels in the snow this year! Hope you are having a wonderful day! What an amazing inspiration. 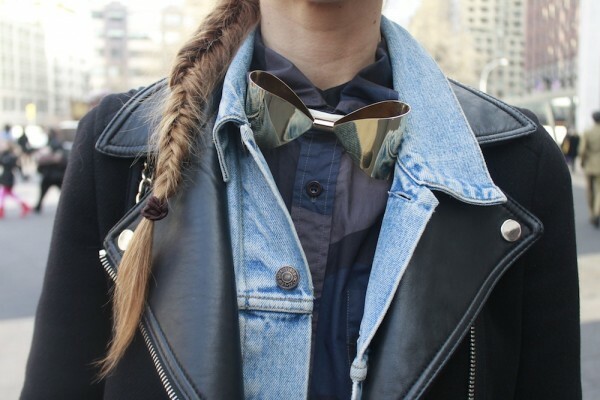 This is why i love streetstyle! wow. #3 is really striking... also love the purple in #5. 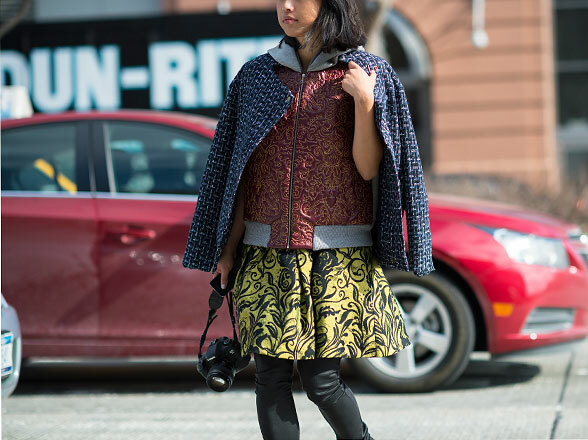 As much as I love the street style at fashion week, when I see some of these photos, I understand why fashion editors complain about all the people peacocking - how distracting it must be to have some many wildly dressed people around you; there's no way I could work, I would just want to look at everything, even if it was awful! I must admit, though, I love those skate boots, the design is amazing. Simple theme. Theme images by PeskyMonkey. Powered by Blogger.